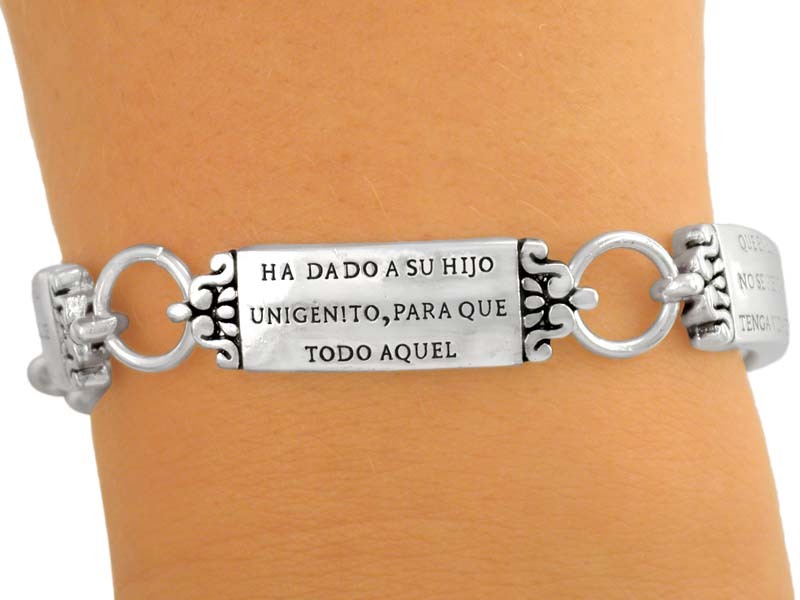 New Silver Finish Tile Link Magnetic Clasp Bracelet With A Verse From John 3:16(Juan 3:16) In Spanish. 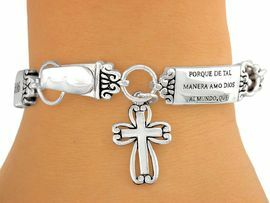 Also Suspends An Elegant Cross Charm. 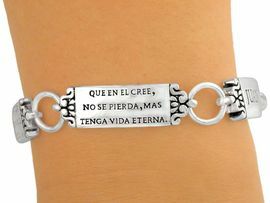 Translates As: "For God So Loved The World, That He Gave His One And Only Son, That Whoever Believes In Him Shall Not Perish, But Have Eternal Life. 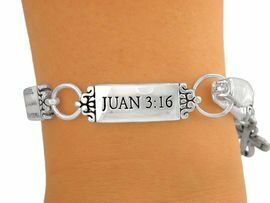 John 3:16"